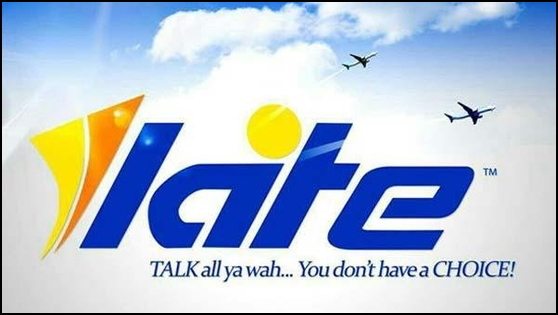 Since before 2012 I have repeatedly heard of calls by the current majority shareholders of LIAT, through Prime Minister Dr. Ralph Gonsalves of St. Vincent, to take up more shares or to simply contribute towards the airline’s losses. Gentlemen, I can reveal to the Press that you know my own name well by now, it has been before you literally hundreds of times both privately through letters, emails, faxes, text messages, and recently in public in the Press. For almost a decade I have been trying to communicate with you mostly for just one reason, and that is to take the politics and non-competence in aviation out of eastern Caribbean aviation, whether that is at the Civil Aviation Department (or Civil Aviation Authority) level or at the airline level (meaning LIAT). Barbados is ICAO Category Two for very simple reasons – incompetence, lack of proper regulations and lack of oversight. With a little more interest, Barbados could be Category One, but for the last decade nobody has been interested. Last time the FAA visited to conduct an evaluation, when they left they told the Civil Aviation people it was so bad that they ought not to bother to call for the next evaluation for at least another ten years. But for some five decades LIAT has been abused as much as your own taxpayers for no good reason. Board after Board, management after management continue to be politically appointed buffoons – whether they are your “friends” or not – who know little or nothing about aviation (which is NOT the same as tourism) and continue to lose money and market share to the point where the airline is now on the brink of the precipice. And you need not respond that this is not the case, because if all were well you would not be out in public demanding that other governments join you in throwing money at the existing form of LIAT to keep it alive. Since at least 2012 Dr. Kenny Anthony has told you, in public, that his country’s taxpayers would not be supporting LIAT’s excesses, and that if you wanted St. Lucia at the airline’s table you had to make major changes in its oversight (Board) and management. As I see it, there are only 2 choices facing LIAT and its government shareholders. Either it has to be deemed an “essential service” and continue to be subsidized despite the operational inefficiencies inherent in its structure; or, it has to be fully privatized, de-politicized, and forced to be self-sustaining. Both options are problematic. In these tough economic times, when governments are cash-strapped and are trying to figure out how to stretch their dwindling resources, many constituencies will argue that subsidizing a national airline should be very low on the priority list. 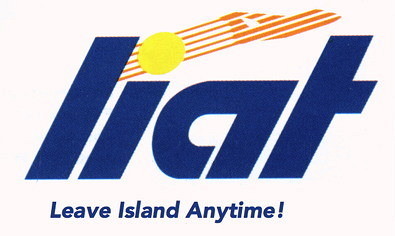 Conversely, there are those who will argue, not without just cause, that LIAT is crucial to inter-island communications and commerce. Has any study ever been done as to exactly how much LIAT contributes to the GDP of CARICOM? That is crucial to the discussion here. What would the economic impact be, in $$ terms, if LIAT were to disappear? Once that figure is empirically established, that could be used as the baseline for government subsidies, a quid-pro-quo, so to speak. Perhaps the solution is a form of public-private sector partnership, with CARICOM governments providing a baseline subsidy, and the private-sector, with aviation professionals providing the operational expertise in running the airline, as Mr. Lynch correctly suggests, being the other half of the operational and financial equation. One thing is for sure with regard to LIAT: the status-quo is both financially and operationally unfeasible. BREAKING: Lucky JetBlue passengers stuck in Barbados for an extra week! Let’s make a potential ‘disaster’ into a worldwide opportunity! This is just breaking on an Australian newswire Business Insider Australia where it is reported that severe weather in the Northeast USA has caused the cancellation of 5,000 flights over two days. It is minus -47 degrees Celsius in Canada and Northern USA! The Australian news service interviews a few folks “stuck in Barbados” as if this is a negative. Actually they called us “BERMUDA” !!! Barbados Tourism Authority… where are you? There are probably hundreds or maybe thousands of tourists that are going to have flights home delayed. What is the BTA doing to ensure these people are looked after? Are we organising any events for them? Is the Prime Minister or Tourism Minister on board for some visits? And let’s correct that headline error of “Bermuda”!!!! Wuhloss! This is not a disaster… it is an opportunity for the world’s press to report on how we welcomed and looked after these folks! Where’s the rum producers? A few bottles here and there would do wonders! Double the tours, keep them happy. OR… have the tourists go back home telling how they were “stuck in Barbados” instead of saying how it was too bad the weather socked in, but what a wonderful time they had. Our choice how we handle this: BTA… where are you? After a snowstorm that hit the Northeast and led airlines to cancel over 5,000 U.S. flights in two days, an unlucky group of JetBlue passengers is stuck in Barbados. Some of them may not get back to New York for a week. 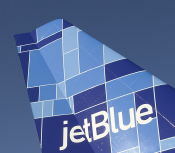 Passenger Lee Cochran told Business Insider that after her Friday afternoon flight to JFK was cancelled, JetBlue rebooked her on a January 9 flight. Her sister got a January 12 trip home. I returned from Barbados last night….I missed the pilots’ strike but got caught up in the back log of passengers. I trotted up to the airport in time to catch the 12 .50 to Grenada and Trinidad, in fact I checked in really early in case things were still pear shaped with Liat and refrained from any comment when I saw the challenging look in the check in clerk’s eyes. Are they still called “check in clerk” these days or are they called something else? I can’t keep up with PC names. What they ain’t called is courteous. Ominously there were no Liat Superior Girls around just one Mr Jekyll. Too intimidated to say a word I proceeded to the departure lounge and went to get some coffee and something to eat….bad mistake, (apart from the awful food). As I was about to receive my white styrofoam box of junk food which I had paid for, I heard my name being called over the tannoy! Now I don’t know about you but I panic when I hear my name over a tannoy system. I took off chased by a junk food dispenser person waving a styrofoam box and a styrofoam cup in the air…..I managed to out pace her and arrived at gate 9a convinced I had misread my itinerary. But no, a Liat Superior Person had decided to put me on what in all likelihood was the last flight to Grenada. At least she saved me from severe indigestion! Sad days for Barbados Tourism: Double standards by government, American Airlines cuts direct New York – Barbados flight. It’s official… American Airlines will no longer operate a direct flight from New York to Barbados. Adrian Loveridge, small hotel owner – now selling! From a tourism perspective it was quite a revelation to read through the five newspaper pages of ‘indebted’ individuals and entities listed by National Insurance Board recently – especially when you realise that many of them either in the past and/or currently benefited from substantial taxpayer subsidies, grants or soft loans. It seems almost incredible that, at least in some cases, limited if any due diligence has been practised between the various Government agencies involved before the monies were advanced. Take the (TIRF) Tourism Industry Relief Fund as an example. I understand that this was purely intended to assist qualifying tourism businesses to maintain employment. I never saw it as a source of ‘free’ funds to assist in the avoidance of statutory obligations. Yet, well over a Million Dollars in TIRF monies was paid over to one named hotel alone. Others were allowed to access preferential interest rates through the Enterprise Growth Fund, and perhaps most alarming of all, several are currently benefiting from taxpayer-subsidised Barbados Tourism Authority promotions like the Barbados Island Inclusive promotion. For the many enterprises like ours, who have frequently struggled to pay our bills on time, it makes a mockery of those trying to do the right thing. Almost anyone in business could contest that at some stage they have experienced some financial problems or challenges, and this is clearly understandable. But, as the Barbados Social Security clearly states the list applies to those ‘who have not made satisfactory arrangements to liquidate the outstanding debt (or) have not adhered to arrangements made’. Again, if this disparity is allowed to continue ‘we’ are just allowing the goalposts to be modified one more time and disadvantaging others who are fighting to keep trading legitimately. It also calls into question why is there not more communication between the various Government agencies in terms of compliance. Why is it possible to access public funds without an NIS clearance certificate, while it is a prerequisite for a licence to operate a hotel or restaurant? “There has never been a more appropriate time to end LIAT’s vicious cycle of operational and financial instability and to reconfigure an airline which can serve the Eastern Caribbean’s vital needs on a sustainable basis. Some might believe that for the second time in only three years Captain Ian Brunton has been made a scapegoat by the board of directors of a Caribbean airline company – fired as CEO of Caribbean Airlines Limited in late 2010 and, this week, he resigned as CEO of LIAT. Indisputably, the overall operation of LIAT has continued to be disastrous during the last four months but so has the marketing / P R / communications function and yet the senior management there appears unchanged going forward. More importantly, the chairman, Jean Holder, and the LIAT board – which has authorised the strategy, business plan, operating budget and bank loans underlying the recent chaos and financial uncertainty – also appear unchanged going forward.